I modified a very simple movement activity today in my classroom. Sometimes, due to a lack of inspiration (or the pressure of time), I have students simply stand up at their desks to do a quick Think-Pair/Group-Share. By adding the basic standing motion, it helps break the monotony of a seated period of time. I started by doing this today, but thought to myself….how boring! Of course, it would have more boring to just sit and share. So, I decided to add another movement to jazz up the standing conversation. 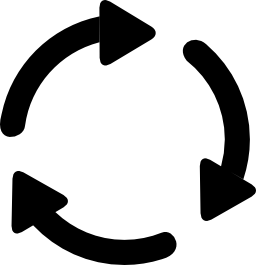 After students shared with each other in their groups (I have them seated in groups of three), I had them rotate in a clockwise motion to the next desk in their groups. While standing, I drew names out of a cup I like to call the CUP OF DREAMS AND OPPORTUNITIES. The student called on shared something from his or her group. The students then rotated to the next chair. I drew another name and an answer was shared. After doing this for about six times, students returned to their seats. This activity was simple to do and the kids loved it. More importantly, it helped students focus for the intense information that followed the activity. We don’t have to live like this | Local News | The Seattle Times. There are several thoughts I have about the recent school shooting in Washington. This article illustrates some of them…. There are several studies that have surfaced making connections between reading comprehension or reading fluency and movement. In addition, there is research that makes connections between cross-lateral movement and academic achievement. In the attached link, several cross-lateral movements are included. Cross-lateral movements are easy to do and take little time to complete, so for those who are concerned about time in the classroom and fear that movement activities might detract, these exercises may be appealing. 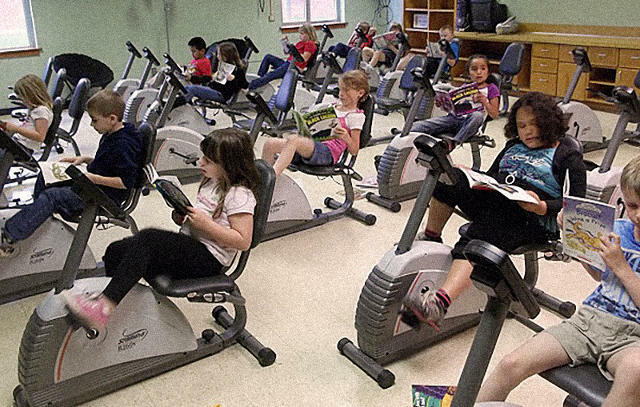 This is a great report on what some schools are doing to combine reading and movement. Some people shy away from using movement in the classroom because of fear of the unknown. What will happen when I don’t have control? What will happen if the students are too loud? How will I get them back on-task? What are they learning? Establishing clear routines helps to minimize the anxiety people have when introducing activity in their classroom. The school year is a month underway and I have establish a few simple routines that take seconds to a couple of minutes to conduct. This seems like a silly routine to have to practice, but it can make a significant difference. My desks are arranged in groups of three. I really value a group setting. I used to have groups of four or five until I read somewhere that the ideal size of a group is three. Ever since then, I have arranged my room with several groups of three. This makes for a crowded room at times. For this routine, I have students stand, push their chairs in, and face the front of the room. While their standing, I have them look around them to make sure items on the floor are picked up to ensure a safe pathway for larger movements. We actually practice standing and sitting a couple of times. This becomes a routine as we dismiss from the classroom as well. Since a number of easy movement activities involve moving next to desks, practicing this routine actually saves class time. Some larger movement activities require students to walk around the room or to certain sections of the room. To practice this, the room is divided into quadrants. 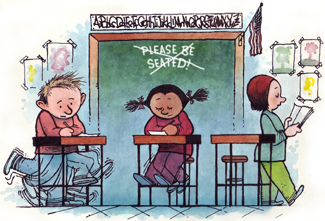 When signaled, student stand and quietly move to an assigned section of the room. The first time, I have students move to the four general corners. When given another signal, students move to another assigned section. We talk about how students can move safely and efficiently. Students sometimes creatively offer suggestions such as moving to the new location in a clockwise fashion. Sometimes I go over routine #3 prior to this one, but I have found that since large movement don’t usually require the movement of furniture, teaching this one first generally makes sense. As I stated earlier, in my classroom students regularly sit in groups of three; however, depending on the activity, we often have to rearrange the furniture. To make the transition time faster and safer, practicing moving the desks into the correct formations for discussion activities at the beginning of the year helps students know the correct and best way to do so. To do this activity, I split students into two groups. One group consists of the participants and the other group is the observers. The participants are instructed to move the desks from groups of three into a discussion formation two times. The first time they move them making several mistakes. The observer look for the mistakes. A discussion follows by asking the observers what the participants can do better. The second time the participants attempt to move the desks with a few errors as possible. The observers take note and then answer how the participants can do better. The roles then reverse so the observers can perform the activity two times. Any routine can be practiced in this way. The key is to focus on what can be improved to reinforce positive language. Even though teaching routines isn’t part of the greater curriculum, doing some can help emphasize safety, positivity, and efficiency.